Yes, I voted in the Likud Primaries! Please don't ask me whom I voted for, because I was so confused and nervous with the exact counting, that I don't really remember. We were given three envelopes to fill. And we had a form to check and color-coded pieces of paper for the two smaller envelopes, as you can see. The blue envelope got a blue paper with either Bibi Netanyahu, Danny Danon or Abstain. The form to check, needed exactly 12 checks, one on the bottom and eleven taking up the bulk of the paper. The little white papers which went into the plain white envelope were for a "referendum" of sorts. We were voting to give or not give the head of the party the right to veto results and play around with the order of candidates or bring in outsiders who didn't run. The choices were "for," "against" or "abstain." A couple of elections ago, Bibi did override the results and even got the Likud's "judicial" to permit it. I hope that enough voters tell him to lay off, so he, or any future leader, won't dare to do such an immoral and undemocratic act. So, if you're curious, I didn't vote for Bibi, nor did I abstain. And of course, I voted נגד Negged, Against. To confuse matters, even though we were given three envelopes, there were only two boxes. That meant that the people manning the polling stations actually had to keep explaining over and over what to do, how to dispose of the third envelope and still have it counted. Saving the best for last, I'll show you the carnival-like atmosphere on the sidewalk leading to the polling station here in Shiloh. Likud Primaries, HELP! Who are the RIGHT Candidates? This is the first time in decades I find myself totally lost. Now besides my neighbor Shevach Shtern שבח שטרן, whom I trust and will vote for, I haven't a clue. Please share this post around and ask people to write their recommendations in the comments, thanks. One of my pet peeves, long-time gripes is that people blame G-d for the faults, mistakes, sins of man. "I'm angry with G-d, because..."
I'm sure you can give more examples, when so many times the reason people are blaming G-d is for things done by other people, not by G-d Almighty. Yes, G-d is almighty and can change nature easily, bring people back from the dead, heal the sick and control timing and more. But G-d gave us a very special gift, and that is the difference between us human beings, Jews and non-Jews alike, for good and for evil, and angels. Angels are more like robots programmed by G-d to do specific tasks. Chazal, our Sages, tell us that each mal'ach angel has one responsibility it is supposed to do for G-d. It doesn't have Free Will; it isn't capable of rebellion or refusal. The gift G-d gave just to us humans is the responsibility of Free Will. And yes, it's a responsibility. And that is why we can be punished, whether in This World, עולם הזה Olam HaZeh, or עולם הבא Olam HaBa, The Next World. That's also why G-d is always testing us and challenging us. There are also many, many things totally out of our control which can sadden and anger us. And our greatest challenge is to keep our faith in G-d no matter how much we may be upset and angry about things in This World. The "P.A. Genie," Is Israel in Control of the Palestinian Authority? 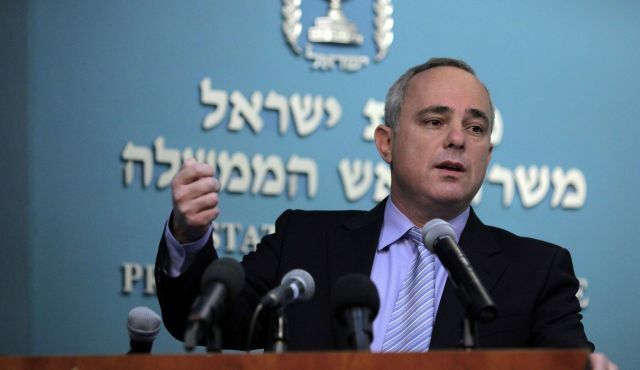 Likud's Intelligence Minister Yuval Steinitz has me troubled and not for the first time. His bombastic or unrealistic statement "we will need to seriously weigh the dissolution of the Palestinian Authority" is typical of his "just missing" the point. I may not be as intelligent, educated or politically powerful as Steinitz, but sometimes things look clearer from a distance. Steinitz has been part of the Likud, part of the system for many years. I remember arguing with him at the succah my neighbor Moshe Keinan had erected near the President's Residence the Succot after his son, Avihu's murder by Arab terrorists in a poorly planned army action just before Rosh Hashannah well over ten years ago. Like too many powerful people, Steinitz tries to combine Right, which includes genuine Jewish ethics, and western democratic, Liberal values. He believes they can work together, maybe like mayonnaise, but I think they are more like oil and water. No matter how hard you shake them, they will inevitably separate. Today's P.A. Palestinian Authority has taken on the trappings of a state, no matter what the Israeli Government likes to think. We are in a very dangerous situation, because it seems that Prime Minister Binyamin Bibi Netanyahu and his cohorts are in la-la land. This all started with the late and very first Likud Prime Minister, Menachem Begin, who called for Palestinian autonomy; granted he didn't use the "P word." The administration of the military rule in Judea, Samaria and the Gaza Strip will be abolished. In Judea, Samaria and the Gaza Strip an administrative autonomy of, by and for the Arab residents will be established. The residents of Judea, Samaria and the Gaza Strip will elect an administrative council which will be composed of 11 members. The administrative council will act according to the principles postulated in this document. Every resident 18 years old or older, regardless of his citizenship or the lack of it. will be entitled to vote for the administrative council. Every resident who is 25 years old or older the day the list of candidates for the administrative council is presented will be entitled to be elected to the administrative council. The administrative council will be elected in general, direct, personal, equal and secret elections. But once that "genie"aka "autonomy" was let out of the jar, Israeli security, authority and international standing have gone seriously downhill. 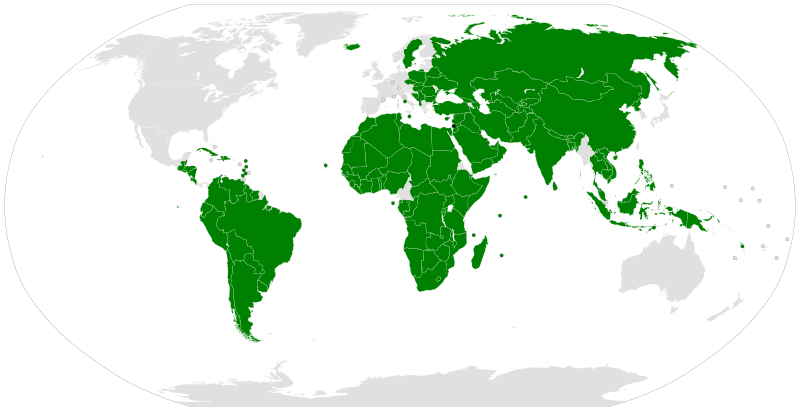 Contrary to what Israeli leaders, yes including the ruling Likud, likes to believe, as far as most of the world is concerned there already is a "State of Palestine," sic. So they would respond to any attempt of Israel's "dissolution of the Palestinian Authority" as aggression against a recognized country. That's "a fine kettle of fish" our so-called Right leaders have gotten us into. 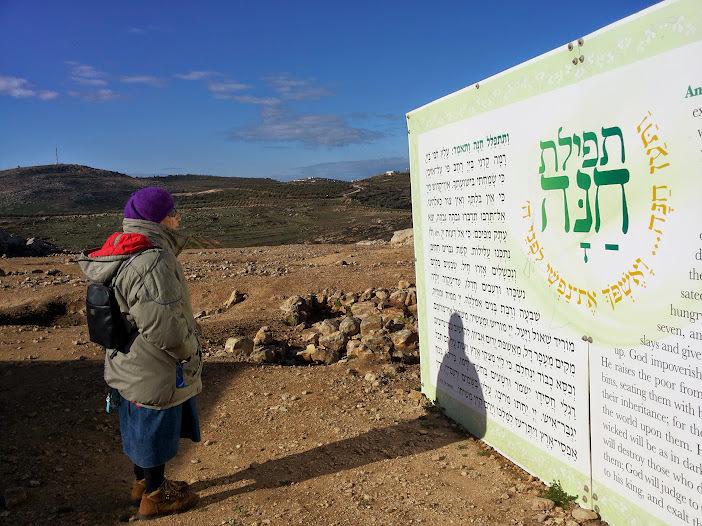 Tel Shiloh is the site of the Biblical Mishkan Tabernacle where Jews prayed for centuries, close to four hundred 400 years. It's where Chana (Hannah) prayed for a son who would lead the Jewish People out of the anarchy of the Time of the Judges into a Kingdom. Her son Shmuel Hanavi, Samuel the Prophet anointed the first two Jewish Kings, Saul and David. 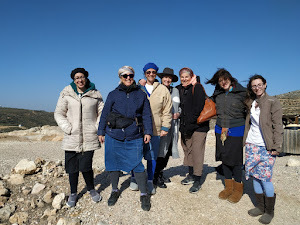 I'm part of a group of women who come to Shiloh Hakeduma, Tel Shiloh, every Rosh Chodesh to pray together to G-d.
Next Rosh Chodesh is Rosh Chodesh Shevat, Wednesday, January 21, 2015, ראש חודש שבט, א' שבט תשע"ה. Everyone is so quick to condemn Jews, apologize for alleged "price tag" attacks and even for totally legitimate defensive actions. After the 1967 Six Days War, there was a brilliant book of satire with a title that is as applicable now as it was then, "So Sorry We Won," By Ephraim Kishon and illustrated by Dosh Kariel Gardosh. There's something so dangerously fokokt in the Israeli and Jewish psyche, that we can't properly defend ourselves. We're embarrassed when we win and sabotage our own security and good name. "Price tag" the Arabs, the Israeli media, politicians, religious leaders and all sorts of foreigners were so quick to condemn Jews for the fire. And here in Israel, there were also apologies for the despicable act. The wave of incitement and violence made clear that the Palestinians were the aggressors, and the Israelis were the victims. No wonder Israel’s critics in the international news media seemed almost gleeful when they heard the news of a fire-bombing at a West Bank mosque. Here was the ammunition they needed to construct a new narrative — a chance to “prove” that the Palestinians weren’t the only violent aggressors. Jews and Israelis all over were so quick to apologize and condemn, but no surprise the guilty party was a heater that malfunctioned and caused the fire. Have you heard any apologies? More foreign leaders condemned the fire in the mosque than have condemned the attack, the burning firebomb aka Molotov cocktail thrown on the car of the Jewish father and daughter the other night that has the eleven year old fighting for her life. And G-d willing she'll survive and then have to deal with complicated plastic surgery. 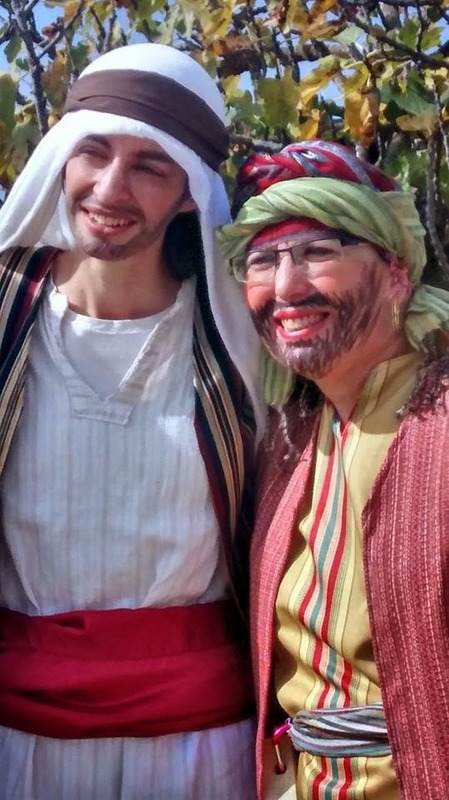 Even here in Israel there have been fewer condemnations of the Arabs who attacked Ayala Shapiro, please pray for Ayelet bat Rut, than there were condemnations of the so-called "price tag terrorists" sic. Thank G-d, at least the terrorists have been captured, arrested and already confessed their crime. According to their statements, the two, armed with Molotov cocktails, walked along a road leading from Ma'ale Shomron to Matan with the intention of firebombing Israeli vehicles. They waited on the side of the road, and lit a Molotov cocktail after seeing Israeli vehicles pass through. One car caught fire, and the suspects then fled back to Azoun, the Shin Bet said. IMHO all Arab terrorists should get the death penalty. We shouldn't hold them in jail, feed them, educate them and then end up releasing them. Our enemies aim to destroy us, and about that there should never be negotiations! We shouldn't be facilitating an additional Arab state! At present the young girl is fighting for her life. An Israeli driver, Avner Shapiro and his 11 year old daughter Ayala were attacked by Arab terrorists who threw a firebomb at his vehicle Thursday night. The two suffered burns, but managed to escape from their burning vehicle. They were treated on the scene by Magen David Adom rescue workers and taken to the burn center at Tel Hashomer Hospital. The girl is on a respirator and said to be in serious condition by doctors. Please pray for Ayala bat (daughter of) Rut! This most probably isn't what people like to hear, but the truth is that peace for the State of Israel and the Jewish People isn't "around the corner," nor can it be negotiated. Our enemies are cruel and single-minded. They know what they want and will do anything to achieve their aims. When it suits their needs, the Arabs will even sit "politely" and negotiate our destruction. Yes, that is what they want, our destruction. It's not the yishuvim, Jewish communities in Judea, Samaria, the Jordan Valley or the Golan Heights that bother them. They are even more opposed to Jewish Tel Aviv and Jews living in Haifa, Jerusalem Beersheva etc. Those Israelis, those Jews who think that they'd be safe and secure after throwing us to the Arab terrorist sharks are sadly and dangerously mistaken. Giving the Arab terrorists our homes and communities will only encourage and strengthen them to terrorize and attack us, G-d forbid. 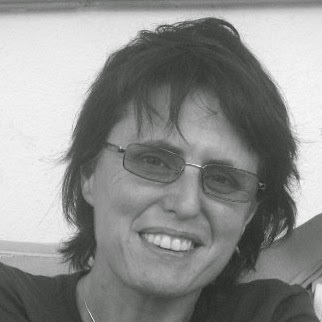 On December 18 2010, Kay Wilson, (also known by her nickname, “KishKush”) and her colleague and friend, Kristine Luken, were brutally attacked by Arab terrorists in a forest near Beit Shemesh in Israel. Luken was butchered to death. Wilson survived. At the time it was widely reported that both women actively worked for “The Church's Ministry among Jewish People” (CMJ), one of the most virulent and established missionary organizations in Israel. Wilson was identified as a "messianic Jew" and the main educator and tour leader for CMJ's sub-ministry, Shoresh Tours. Straight Talking: Delete "Two State Solution" from Political-Diplomatic Lexicon! I'm not one to speak in flowery vague euphemisms. I call a spade a spade, a rose a rose, and when something stinks, I'm not shy about saying so. The time has come to call off the negotiations for a "Two State Solution." It's not a workable "solution." It's a euphemism for the destruction of Israel. It isn't based on any historic precedent. Arabs oppose it, except as a means to destroy Israel in stages. Even the so-called "moderate" Mahmoud Abbas has sabotaged all attempts to negotiate an agreement. Fatah official:Israeli cities "Haifa, Jaffa, Acre and Nazareth are Palestinian,despite the Americans and the Israelis" PA TV song broadcast dozens of times: "Jaffa, Acre, Haifa, and Nazareth are ours"
This does put me in the political "dog house," but I don't care. I know that the State of Israel must make a clean break of it if we want to survive. The history-based Chanukah holiday has just ended, and one of its lessons is that compromise and negotiations aren't the keys to our survival. The Jewish State of Israel!! Is This The Islam so Beloved of Obama? Please watch and listen to Muslim women talk about what life is like for them and their Muslim sisters. Published on Jan 16, 2014 Honor Diaries is the first film to break the silence on 'honor violence' against women and girls. Honor Diaries is more than a movie, it is a movement to save women and girls from gender inequality, forced marriages and human rights abuses. According to the polls and pundits, Tsipi Livni will probably have an encore, repeat of previous election results. She'll be part of the top vote-getting party, but will be left out of the ruling coalition. According to the poll, the Herzog-Livni list would receive 23 mandates, while the Likud would receive 21 mandates. Nafatli Bennett's Bayit Yehudi would come in with the third most votes, according to the survey, with 16 mandates. Yair Lapid's party, which had fallen to single digits in a number of recent polls, appears to have recovered some voters, with poll respondents giving the centrist party 11 mandates. The daily deluge of polls for the March 17 Knesset elections continue on Tuesday, with a Channel 10 poll showing the joint Labor-Hatnua list and Likud still neck and neck, with Labor just slightly ahead. The poll gives Labor 22 mandates and Likud 21. Jewish Home would get 17, and Yesh Atid gets ten mandates according to the findings. Former Likud minister Moshe Kahlon's new Kulanu party and Yisrael Beytenu each get nine seats, and the hareidi United Torah Judaism would get seven. In the same poll, respondents were asked who is most fitting for the role of prime minister. Current Prime Minister Binyamin Netanyahu was preferred by 38%, whereas Labor head Yitzhak Herzog was preferred by 32%. In terms of who would best deal with the security threats on Israel, 30% said Netanyahu would be most appropriate, whereas 22% preferred Yisrael Beytenu head Avigdor Liberman and 21% chose Herzog. That so famously happened when Tsipi led Kadima. The Israeli political system provides a "test" for potential Prime Ministers in that they must prove their leadership savvy and skills by successfully crafting and negotiating a coalition of partners. This may be confusing for people new to Israel, because winning the most votes or Knesset seats isn't the end of the electoral process here. It's just the beginning. The Israeli media is very Leftist and goes all out, all the time, to promote Left wing policies and politicians. That's how they do well in Knesset Elections, but when it comes to forming a government, their leaders fail. The Israeli public is far to the Right of the media, and since Right wing politicians have to work much harder to get elected, they develop more political skills than the princes on the Left. In recent years, the two most skillful politicians have been Binyamin Bibi Netanyahu and Ehud Olmert, who honed in his talents when on the Right of the political spectrum. Olmert has since been proven crooked as well as talented, and that leaves Bibi to lead the field. The Herzog-Livni team hasn't much of a chance to head the Israeli Government. I love the reflections created by our "double windows." The lights go on forever. Looking at things from different angles give you different pictures and perspectives. There's something very symbolic in it for sure. We think that our actions only affect us, but quite often they have an influence so far away. I'm not from a religious family, though we were always involved in Jewish life, and my parents were always members of a synagogue. The basic daily mitzvot of Kashrut, keeping and observing Shabbat and the Jewish Holidays weren't parts of our lives. Yes, of course we had a Passover Seder, even changed the regular dishes to what could be called "Pesachdik treif" ones. And yes, the Chanukah menorah was lit, OK, at least once or twice during the eight days of the holiday. I learned about Torah Judaism in NCSY, and a friend introduced me to Zionism and Betar. So here I am in Israel, in Shiloh, with my Chanukiyah which can be seen from "both sides of the Jordan." Here in Israel we're facing Knesset Elections again, and in America the Jews also have elections, for the World Zionist Congress. A friend sent me some information about it, and I'm glad to see that a number of the religious organizations are running together. I hope that our Right politicians will do the same here. The Religious Zionist Slate is comprised of delegates from America's foundational religious Zionist organizations, including World Mizrachi, AMIT, Bnei Akiva, the Orthodox Union, the Rabbinical Council of America, the National Council of Young Israel, Torah Mitzion, Touro College, and Yeshiva University. It's important to unite. And the platform is pretty good, too. 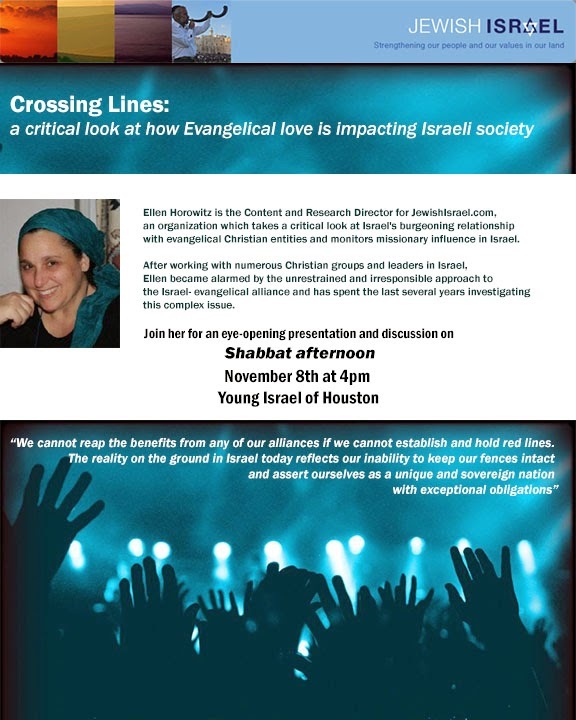 Ensuring the future of religious Zionist ideals. Ensuring the security of a united Jerusalem. Of course, I'd rather they have aliyah higher on their list, but at least not only is it on the list, but they also support programs in Israel. They've produced a cute little campaign movie. Watch it and vote for them if you can. This was a time in Jewish History when we weren't totally independent or sovereign in our Land. Our Holy Temple was in ruins and the Greeks ruled us, not only administratively, but they also forbade the practice of Judaism. The festival of Hanukka celebrates the military victory of the Judeans over the Hellenist Syrians in the second century BCE, as recorded in the Al Hanissim thanksgiving prayer added to our Amida prayers and Grace after Meals for the eight days of the holiday; the festival also celebrates the ideological victory of Judaism over Greek Hellenism, as symbolized in the kindling of the Menorah, the Holy Temple candelabrum signifying “the illumination which is Torah.” Hence we were engaged in a two-pronged struggle; a national war of independence against the heirs of the military conqueror Alexander the Great, and a spiritual Kulturkampf against the wisdom of ancient Greece, which that same Alexander wished to dominate the entire civilized world at that time. Their actual aim was the destruction of us as a people united by our Jewish religion. Our war, the fight of the Maccabees against the Greeks, had to be a battle on two fronts, and there was no compromise. Taking a "Centrist" view would not give us a victory. I have no doubt that Judah the Maccabee would oppose the Likud of Binyamin Netanyahu and also the NRP aka Jewish Home of Naftali Bennett. Moderation under any name was not in his ideological or political lexicon. Judah the Maccabee would also oppose the Chareidi parties, because they only take on religious battles and in principle ignore national and defense issues. 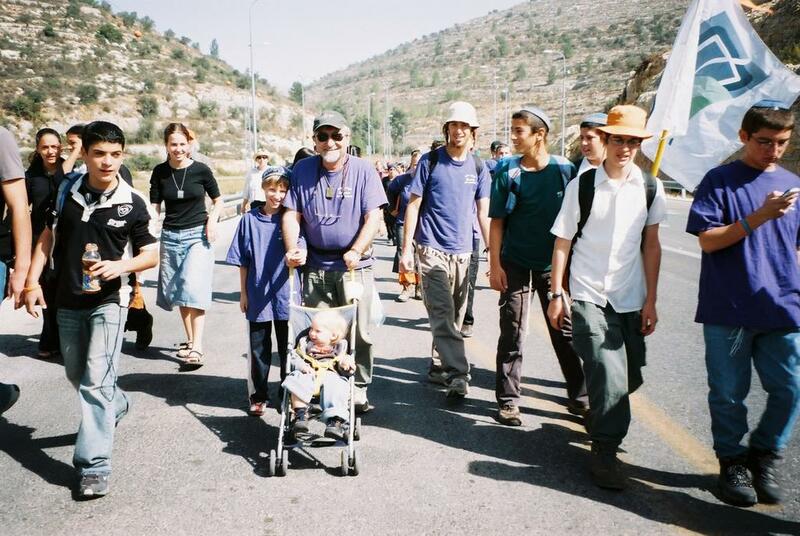 I have no doubt that today's Judah Maccabee would be an active member and supporter of Otzma Yehudit (formerly Otzma LiYisrael,) led by Michael Ben-Ari. The lesson of the Chanukah story is that compromise with our enemies is dangerous.When someone wants to destroy you body and soul you have to fight on both of those fronts. There is no negotiations. The only political group that understands this is Ben-Ari's Otzma Yehudit! As you may have noticed from the pictures I've been posting on me-ander of our Chanukiyot, Chanukah Menorahs, even though there are just two of us empty-nesters living at home here, we light two Chanukiyot. 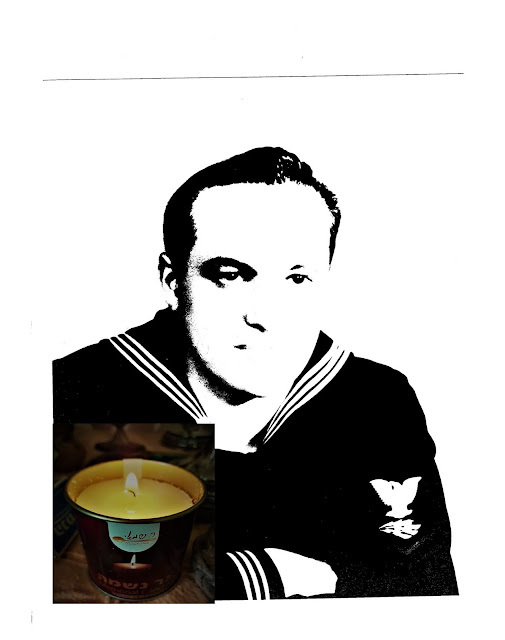 I don't rely on just saying "amen" to my husband's blessings on the candles. In the years when the kids lived at home each one lit a Chanukiyah, and if we had guests, I made sure to have enough for the guests, too. We have two large windows overlooking the street, and I'd clear the window-sills for as many as needed. Chanukah, like Purim, is a Jewish Holiday based on a historic event. They were both attempts to annihilate us Jews, every one of us. So we all, young and old, male and female must celebrate. If you understand Hebrew, here's a very good explanation. Yes, if you're wondering, the actor/singer is the same Noam Yaakobson of Latma. With all I've been reading about the election polls showing how the loony Left Isaac Herzog, Tsipi Livni, Yair Lapid and political chameleon Moshe Kahlon can win, I wonder why we should bother voting. The poll pundits have it all choreographed and finalized without the expense of a Knesset Elections campaign. As we've known forever, the Israeli Media is rigidly Left and always has been. Yes, that's possible. The pollsters and the media are working hard to push the Leftist parties into the correct alliances to get the results they crave. Lapid and Kahlon have both denied they intend to run together. But Lapid has said he would explore multiple possibilities about running in conjunction with other parties. If they do not run together, Labor would win 23 seats, the Likud 21, Bayit Yehudi 16, Yesh Atid and Kulanu 10 each, Yisrael Beytenu eight, United Torah Judaism and Meretz seven each, two Arab parties five each, and Shas and former Shas chairman Eli Yishai’s Ha’am Itanu party four each. The poll of 507 respondents representing a statistical sample of the adult population found that 27 percent of respondents remain undecided. Among those who call themselves centrist, the figure is even higher: 39%. The survey’s margin of error is 4.3 percentage points. But there's a very important historical fact they try to ignore. Two elections ago, Kadima, then led by Tsipi Livni got more seats than Likud; however, Livni was incapable of putting together a coalition. That's how Bibi became Prime Minister. Israeli governments aren't completely decided by Knesset Elections. Political parties must join together in a coalition to form a government. The art of creating and controlling such a coalition isn't easy. It takes political smarts that are hard to come by. Netanyahu, who is labeled as Right but promotes himself as Center, has managed to craft coalitions three times already. Last time he made some bad mistakes. He ran with Avigdor Lieberman's party which weakened his Likud. And he found himself forced to take on Yair Lapid because of pressure by Naftali Bennett. It seems that this time he is letting Bennett take on Lieberman's "old job" as "the big mouth on the Right." Bennett has been campaigning against a Palestinian state, while Bibi is committed to the "Two State Solution." That puts Bibi's Likud in the Center where he thinks he should be. But I wonder how many voters want a parve/neutral party that doesn't give firm leadership. Many Right voters are sick and tired of voting Likud and getting Leftist policies. And more are realizing that voting Bennett will get just Likud "yes men." We still have almost three months until the elections. Maybe the voters will surprise the pollsters. It's the fifth night of Chanukah, and I hope that everyone is having a totally wonderful Holiday. Havel Havelim is the weekly international Jewish blog carnival that has been appearing well over a decade. It was begun by Soccer Dad who no longer blogs. He coordinated it for quite a while. Now we use our facebook page to coordinate and publicize it. That's where we sign up to host an edition (Hint! Hint!) and see the latest news. Join the page and become part of the community. Next week's host is Paula, who blog on A Soldier's Mother and Paula Says along with her Times of Israel blog and Arutz 7 and probably more... Please send her links from your own blog or any others from this week, to paula@writepoint.com. And just before presenting you with the posts of the week, I'd like to remind you to visit, comment and of course share, thanks. Remember, you don't have to be a blogger to participate, read, share, Havel Havelim!! Tzivia's Hebrew progress: Trivial pursuit? Humiliating Hebrew fail. It reminds me of the most difficult word in the first Chapter of "Elef Milim," the Hebrew Textbook popular in late 1960's. It was אוטובוס. Sharon shows us Ready for Hanukkah or Chanukah in Jerusalem. No doubt it's part one, since I spotted her at the Mamilla Mall celebrations last week. 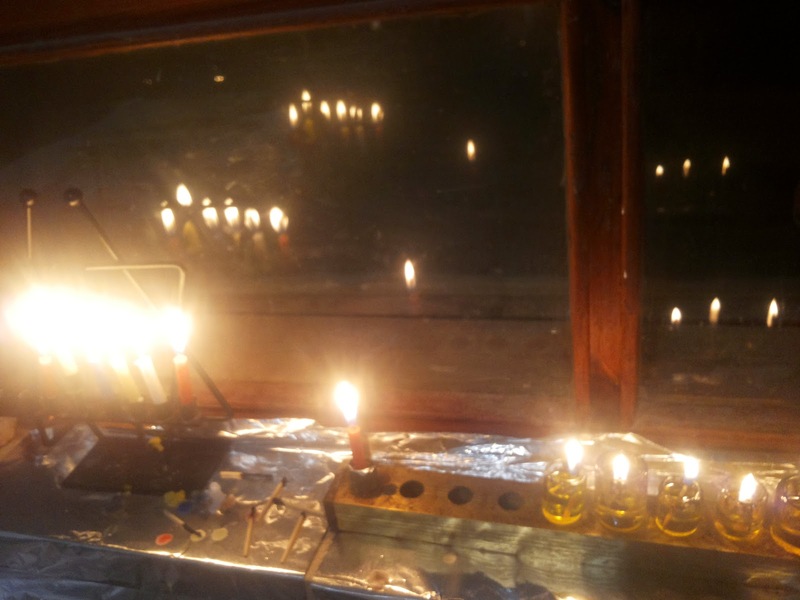 Shiloh Musings: Chanukah! It Happened Right Here! Ruti sees a show Oh, my stars!!! What a performance! Rabbi Reuven Spolter and the education balagan What Do The Coming Elections in Israel Mean in the Real World? Just a reminder. Havel Havelim is the weekly International Jewish blog carnival, that means "round-up" of blog posts, or magazine, which is made up of blog posts for your reading pleasure. Please share it and read, comment and share the various posts, too. And if you're a blogger who would like to host one, just sign up on ourfacebook page, or let me know, if you're not on facebook. Next week will be hosted by Tzivia, Adventures in Aliyahland, Send links to Tzivia@tzivia.com with a one-line description of your post's contents. Chanukah! It Happened Right Here! Look What Our Enemies Say About Us!